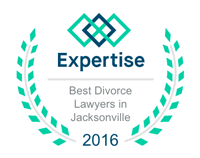 Jacksonville Family Law Attorney | Robert H. Wood, P.A. Call us at (904) 388-6778 today to schedule your Free Consultation. The Law Office of Robert H. Wood, P.A. The Law Office of Robert H. Wood, P.A. represents individuals and families in Jacksonville and throughout the surrounding counties in Florida. We are steadfastly committed to providing our clients with highly effective, individualized, prompt and professional legal services ― and with the personal attention and respect you deserve. Whether you are divorcing, negotiating a parenting plan, enforcing child support or getting out from under huge debt by filing for bankruptcy, the Law Office of Robert H. Wood, P.A. goes the extra mile to help you achieve your legal goals no matter the size or complexity of your case. Our clients benefit from focused one-on-one attention, and we tailor our legal services to meet the specific needs of your situation. We listen closely to your concerns and emphasize communication — to give you a full understanding of the law and the possible outcomes, answering your questions and keeping you updated on the status of your case so you are equipped to make the most informed decisions at every stage of the legal process. The Law Office of Robert H. Wood, P.A. recognizes the importance of assisting you as quickly as possible. We never forget how important your case is, and you always have our full attention. We have extensive experience helping parties reach settlements through negotiation. This can save you time, money and the stress of litigation. If litigation does become necessary, we vigorously protect your interests in court. Every family and divorce matter is different, presenting its own unique set of challenges. We can assist you with adoption, divorce, child custody, child support, alimony, modifications, pre-nuptial agreements, paternity matters and more. It is important to remember that children need both of their parents even when their parents are divorcing. Child support is determined by formulas set by the state. We ensure the court has accurate information, including proper review of deductions to gross income, to reach a fair decision on your behalf. Child custody refers to the rights to control legal and practical matters for your child — including where the child lives and who makes the decisions. We can assist you. We help you obtain a fresh financial start through filing for Chapter 7 or Chapter 13 bankruptcy or debt relief under the Bankruptcy Code. Regardless of the type of bankruptcy you select, bankruptcy law requires everyone to first get credit counseling and take a financial management course. We get you enrolled in the right classes. The Law Office of Robert H. Wood, P.A. safeguards the interests of individuals and families in Jacksonville and Orange Park, and throughout Duval, Clay, Baker and Nassau Counties in Florida. To find out how the Law Office of Robert H. Wood, P.A. can assist you, call us at 904-388-6778 to schedule your free initial consultation, or contact us online.